While many will say the time of HIDs is dead, the current market offerings beg to differ. LED products are certainly making strides to take over from HIDs, but they’re not quite there yet and HIDs’ years of development mean they can still hold their own against the new competitors. There’s a lot to choose from when it comes to HID headlights, and trying to pick the best one can be difficult. On the surface many of the products appear to offer very similar products but at vastly different prices. How should one go about differentiating between the different products? In this article, we take a deeper look at each product to try and determine what the best HID headlight is. To make things easier, we’ve specifically looked at the 9006 (HB4) sized light bulbs in the below reviews. This way you can compare prices and specifications for each one. One of the biggest reasons people switch to HIDs is for a whiter light. HIDs come in a variety of colors, and each of the products are offered in several variations of white, as well as some more exotic colors. As such we don’t specifically talk about the colour of the lights for each product, and selected a 6,000K light for price comparisons. This offering from Kensun is the top selling aftermarket HID kit available. Starting up in 2009, Kensun quickly rose to the top with their offerings of quality HID kits and have managed to stay up to date by improving their technology over the years. More recently they have also started offering LED kits to maintain their market dominance. The bulbs come packaged in an aluminum carry case, along with the ballasts, mounting brackets and installation instructions. Kensun claim an easy and simple installation, that requires basic plug ‘n play actions for majority of people. Kensun are really proud of their technical support staff and brag about being number one for customer service and quality. Over the years Kensun have developed and sold a number of different ballasts as technology has improved. Their current offering is that of Premium Ballasts, which are metal encased and provide dust, shock and water proofing protection. At 35W, they are not Kensun’s most powerful lights (they also offer a 55W model), but still produce three times as much light as a 55W halogen bulb, drawing far less power. The lack of filament in the bulb also results in a much longer life span than halogens, although an exact value is not provided by Kensun. How bright the lights are, even when compared to high performance halogens. When they’ve experienced problems, the customer support is excellent and willing to help. The installation is as quick and easy as promised. Lights caused warning lights on dashboard and flickering – this was fixed with Kensun specialist product. Failure on arrival, or premature failure – covered under warranty. All in all, a good bet. At the measly price of $23.99, this set of HID headlight bulbs is the cheapest set of this review. Heck, we’ve installed halogens which cost way more than these HIDs. There’s not too much known about Innovited. They don’t have a website, and beyond the fact that they’re based in Illinois, don’t have a specific reputation. From Amazon we can tell that across all their products, they’ve managed 99% positive reviews over the last 12 months and they do have a US based customer care number. They sell a number of products, majority of which fall in the automotive section. Everything comes simply, but neatly packaged ready for installation. Two slim ballasts are provided which should easily fit into any car and quick snap connectors are already wired in to allow for plug and play connection. The ballasts are water, dust and shockproof, designed to work in any weather condition with a 5,500 hour lifespan. Innovited also push customer satisfaction, saying that regardless of any factor, they will fulfill their customer’s satisfaction. They also make a humorous request to customers to not just leave negative feedback without contacting them to resolve the issue first as “That really hurts! Ouch!”. Although they haven’t sold as many items as Kensun (the product has only been available for 16 months), they still have a healthy number of customer reviews and a market respectable 4.3-stars. The better than expected quality from such a low cost product, backed by customer support. The small ballast makes it easy to install and fit out of the way. The bright light and matching color. The lights would flicker, even with anti-flicker hardware installed. Early failure of the products – should be covered by warranty. Warm-up is slightly longer than some other products. At such a reasonable price, this is a great set of HIDs for someone who’s not sure whether to make the investment or not. We’re a big fan of Opt7, they’ve been around making HID kits since 2006, and even though they’ve switch the focus to LEDs they’re still producing good quality, innovative products for the HID market. They’re a Californian based company renowned for their all in one products. The bullet HID kit features Opt7’s Blitz Bullet HID ballast. It is the smallest ballast available, which makes installation a breeze and negates the need for mounting the ballast. This specific product also bundles a relay harness and pair of capacitors to eliminate any expected problems such as flickering or CAN bus communication issues. The ballast is 70% smaller than traditional HID ballasts and features the Blitz ASIC 3000 HID chipset to provide over 300% more light down the road. Their bulbs feature UV-cut quartz Z-arc glass and are color calibrated to ensure you get what you order. Although this product comes in at a slightly higher price than the median product of this review, it offers a lot more. First going on sale in April this year, customer reviews are limited to only ten. This has resulted in nine 5-star ratings and one 1-star rating for an average 4.4-star rating. If we look at some of their older HID products, they usually achieved a rating just under 4-stars. The one negative rating received complained that the lights were not bright at all. The customer notes he may have received a defective kit, but his previous halogens were brighter than the installed HIDs. Exceeded expectations with regards to HID headlight bulbs. Improved their visibility on the road. Considering all that is included in this kit, it looks like a great buy. A few more customer reviews would help settle any doubts, but Opt7 have a good name in the industry. Although the name of this product is the same as that of Philips top of the range X-treme Vision halogen lightbulbs, this is in fact an HID kit that shares no ties with Philips. When going to their website, it redirects to that of HID Warehouse, a company with a US based warehouse and customer support. They seem to sell a variety of rebranded HID kits. The kit looks fairly good, containing everything one would expect in a neat package including mounting brackets for the ballasts. The contents are guaranteed to be 100% shock and waterproof, and the quality is guaranteed for 2 years. Some cars will require what they refer to as a canceller cable or a battery harness. They do offer this for those customers that request it. The kit was very easy to install, requiring less than 10min. The lights are very bright, especially when compared to halogens. At $30, they are great value for money. About 20% of reviewers gave the product either a 1- or 2-star rating. The biggest complaint related to the product either not working on arrival, or failing after only a few weeks. While lots of people seemed to have had success with these products, we’d probably advise giving them a skip for one of the others. Xentec appear to be another Amazon/E-Bay only company, with warehouses and a support office in the US. Online their products are sold by Quick Auto House. The company has done quite well for itself selling a number of products in the automotive market. It’s the second most expensive product of our round-up so we hope to see some results warranting that cost. The kit looks fairly solid with an aluminum and plastic casing for the slim ballasts, advertised as being 100% shock- and waterproof. The product is also advertised as being 3x brighter than halogens, drawing 35% less power for improved visibility. The bright light that the bulbs emit. How easy it is to install. Although the product is rated as being waterproof, in practice this is not the case. This along with general poor build quality. The light bulbs failed prematurely, with repeating issues – should be covered under warranty. With the amount of customer complaints on this item, we can’t recommend them, especially when there are better products which will cost you less. Maybe not keeping the best for last, but definitely a product to consider, we look at Apex’s offering in the HID market. While there are two other lighting companies who go by the name Apex, this Apex seems to be a separate entity, rebranding products and being distributed by USA Depot Inc.
Apex really want to make installation easy for you, so they included double sided tape and zip ties in your package from the get go. Some vehicles may require a relay harness or HID decoder, but they say this is “very very rare”. The ballasts are thin and Apex make appropriate water-, shock- and dust-proof claims. On the negative scale, customers’ complaints weren’t as grouped as usual, listing a number of small issues from flickering, to incorrect colors and premature failure. While not a bad set of bulbs, others in this review would probably be a better option. 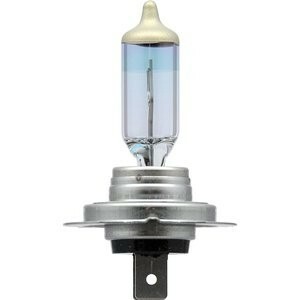 As a parting note you may have noticed that none of these bulbs come DOT/SAE approved. You’ll also see them advertised for off-road use only, or only for show-cars. This is normal and because, for legal reasons, they are not allowed to advertise them as road-legal replacements. Most people install them anyway and get away with it, just be careful next time you get your car’s road worthiness checked. If you’re looking for a new set of HID headlights for your car, you should be able to pick something from our list above. Although it’s not a comprehensive list of all the HID headlights available (there’re too many to list), it gives you an idea of what some of the top players are. It’s hard to pick a favorite from the list; the new Opt7 product fares very well at its price, but some would opt to pay the extra for the leading Kensuns. At the same time, those not happy to fork out so much dough, may be happy to get the incredibly reasonable Innovited bulbs. Regardless of your decision, stay safe and ensure your HID headlights are functioning properly.